If you’d asked me when I was a teenager what I wanted my life to look like in my 40s, I would have probably told you the following: I’d like two children, I’d like to have a happy marriage and a fulfilling career, and I would like to live in Cambridge. I’d risk going further: it wouldn’t be bad to have a degree or two, ideally from good schools. I’d like my parents to be happy and healthy and nearby. I’d like to have done what Dad had been urging me to do since my memory began: find my passion. Lo and behold. I am 43, and this is what my life looks like: I have two teenage children who are entertaining, motivated, and tremendously good company. I have two Ivy League degrees and a career that I am proud of. I have a happy marriage to a man I met when I was 23. We live in a house in Cambridge a mile from my parents’ house. I am passionate about writing, which I do in space around the edges of the rest of my commitments. Life looks an awful lot like I hoped it would. And yet. There is so much that has surprised me—so much that continues to surprise me—about adulthood. On every dimension and at every turn, life has startled me with challenges and wonder in equal measure. Parenting has been far, far more bittersweet than I ever expected. From the very beginning, when my daughter was born more than 15 years ago, every laugh and every milestone has been shadowed by its own passing. Somehow the arrival and growth of my children has served as a sharp reminder of how short our time here is. I try very hard not to let the sometimes dazzling pleasures of parenthood be entirely occluded by my knowledge of their impermanence, but I find that difficult. Having children has reminded me, unavoidably and indelibly, of life’s basic drumbeat forward motion. Grace and Whit have made me painfully aware of how quickly it all passes, and they have simultaneously made me appreciate life’s extraordinary beauty in a completely new way. There’s no question in my mind these two things are woven inextricably together. Marriage has been altogether different than I expected, too, both more difficult (in short: anyone you live with for 18 years is going to get a little, shall we say, irritating sometimes) and more wonderful (the familiarity and intimacy of those 18 shared years creates a comfort I couldn’t have imagined). One of the unanticipated pleasures of marriage, for me, is seeing my husband as a father, and seeing traits of his animate in our children. I can’t remember where I read that marriage is the most private of geographies, but that’s definitely true. After 18 years, I know that I don’t know anything about anyone else’s marriage. Many of my assumptions and high-minded ideas about what marriage is have been destroyed, and in their place is a deep appreciation of the joys that come from making a life alongside one other person. This rooted comfort and intimacy become more important than I could ever imagine in the last few months, because of another of life’s shocking surprises. My husband and I both lost our fathers in the autumn of 2017, 2 months and 3 days apart. These back-to-back losses have bound us together in a dark, sacred space of shared grief and radical empathy. My father’s sudden death from a heart attack is by a wide margin the most significant loss of my life. I’m certain that my experience will forever be split into before and after, with that one afternoon of bewilderment, fear, and gratitude balanced in between. My professional life has been yet another surprise. I joined a management consulting firm when I graduated from college, mostly because I didn’t know what I wanted to be when I grew up. I quickly went to business school and then returned to the same firm. I moved into a recruiting-focused role for purely practical reasons (my husband traveled a lot and I could see that very quickly this would be impossible once we added children to our lives). For many years I worked part time and while I knew that I did not want to stop working entirely, my sense of my professional identity wavered, and I felt a bit purposeless. I wrote about working part-time and the way it meant that I had a foot in two worlds and a home in neither. I felt like I was slogging, alone, up a very long, very climb. And then somehow in the last few years the trees at the top of the climb opened, and I could see the view. It’s worth the climb. I started a company with four former colleagues and I truly love my professional life for the first time. I would never have imagined that I’d be an entrepreneur—and my husband often says the same, with a shake of his head and a smile. I love being a part of founding and growing something, and the joy and satisfaction that I feel professionally has been one of life’s greatest surprises so far. I’m glad my father knew about the company I co-founded, and about our early success, before he died. He had always urged me to find my passion, and he was proud of how much I was loving the new company. But writing, another midlife discovery, is equally the central passion of my life. I found my way back to the page after 20 years in business, and it was like coming home. All of my myriad roles matter crucially to me: mother, wife, financial services professional, writer. None of these individual pieces is simple, and in aggregate they form a complicated, noisy life. There’s no question adulthood is messier and more complex than I’d ever imagined, but it’s also more beautiful. This is the deepest, truest, and most enduring of midlife’s surprises for me: in the dissonance lies the music. 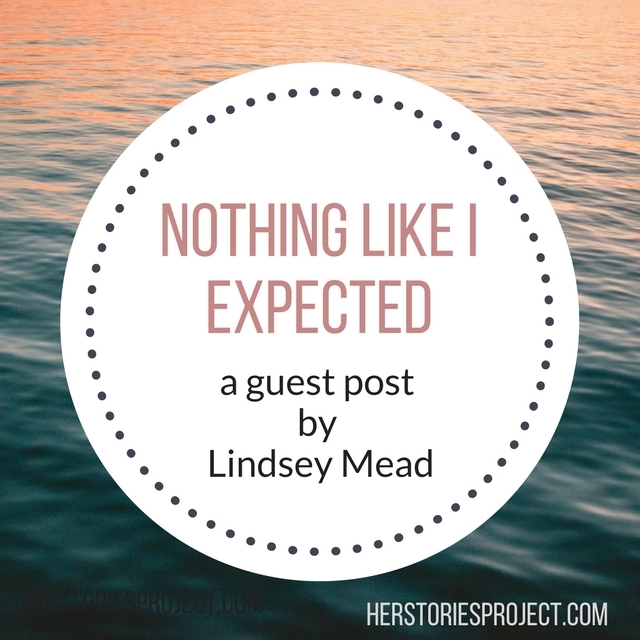 Lindsey Mead is a mother, writer, and financial services professional who lives in Cambridge, Massachusetts with her husband, daughter, and son. She graduated from Princeton with a degree in English and has an MBA from Harvard, and is currently eschewing her peripatetic trans-Atlantic childhood by having lived in the same house for 17 years. 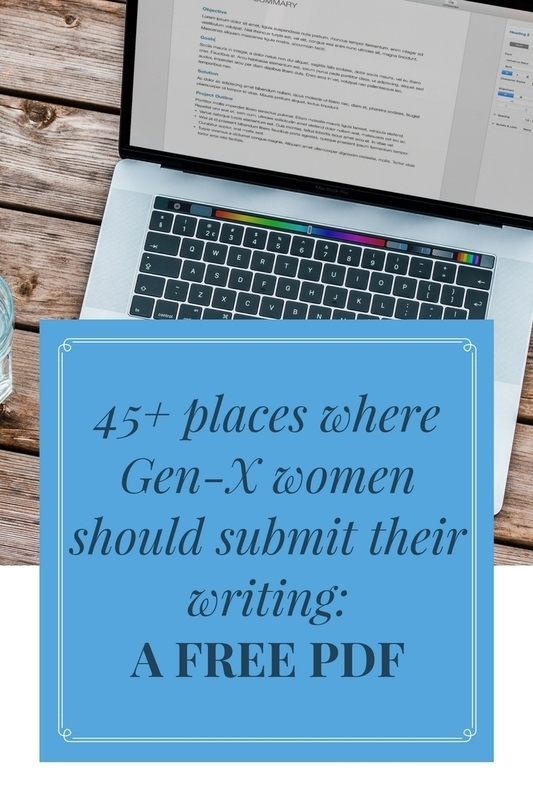 Her writing has been anthologized and published in a variety of print and on-line sources including Torn: True Stories of Kids, Careers, and the Conflict of Modern Motherhood, So Long: Short Narratives of Loss and Remembrance, the Princeton Alumni Weekly, Literary Mama, the Huffington Post, and others. She writes regularly at A Design So Vast.